If you don’t want to enter online, you can fill out an entry form at your GM dealer. You have to have a valid driver’s licence and neither you nor your immediate family can be connected with GM. Unfortunately, that rules out quite a few of the people I know who would be interested, but more chances for the rest of us, right? So what can you win? I haven’t space for all 20 options, but here are a few of them. A 2012 Buick Enclave CX, and a ski weekend for two in Banff, including four star resort, lift passes, economy airfare to Calgary, and ground trip transportation from Calgary to the resort. A 2012 Chevrolet Camaro 1SS 2 door coupe, a trip for two to Toronto, and a full day professional driving training course at Mosport International Airport. 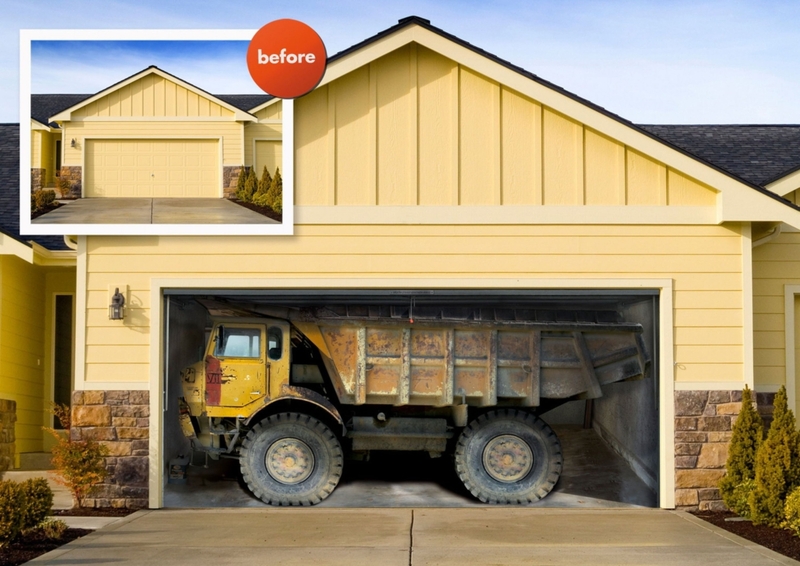 A 2012 GMC Sierra 1500 SLE 4WD Extended Cab, and a home garage renovation. A 2012 Cadillac CTS 3.0L 4 door sedan, and a trip for two to Las Vegas. Unfortunately, you have to pick your package when you enter. Personally, I’m having a hard time deciding which one I want. Chrysler fans may want to check out the 3rd annual Grande Salon Auction by Classic Motorcar Auctions this September 15. Among the items up for grabs are several vehicles and memorabilia, all at no reserve, from the William A.C. Pettit, III collection. Since Pettit owned a Chrysler dealership for many years, before running the Museum of Motoring Memories, you can bet there are some nice cars in the collection. Among the more unusual items from the Pettit Collection are three American Bantam cars, including a 1940 Bantam Speedster. There’s also four classic engines on stands: a 1929 Rolls-Royce Phantom I, a 1922 Duesenberg Model A inline eight, a 1931 Stutz DV-32 inline eight, and a 1934 Packard Twelve. Of greater interest to Chrysler fans will be the 1970 Chrysler Newport convertible (the last year Chrysler made full-size convertibles), the 1984 Chrysler LeBaron Town & Country convertible, the 1967 Plymouth Barracuda convertible with power pack engine and a 1968 Plymouth Sport Satellite convertible. All at no reserve. Hmm. So is the 1965 Ford Falcon Sprint Vintage Race Car. Proceeds from the sale of the Pettit Collection will go to the Shriners Hospital for Children. 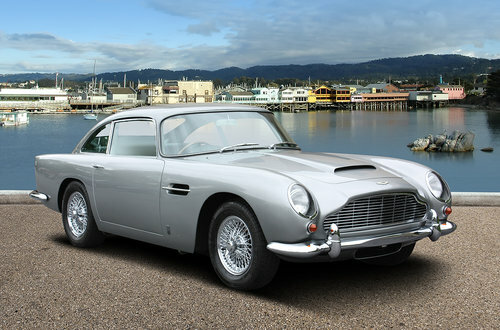 For more information, visit www.classicmotorcarauctions.com, email info@classicmotorcarauctions.com or call 866-653-8900. Open the average garage door and you’ll probably see—well—a pile of junk. Lawnmowers, garden tools, used paint cans, that sort of thing. But what if it looked like your garage held a racing car or bike, a classic 1950s Bentley, a 1967 Corvette or a 1968 Maserati? Much better. Check out style-your-garage, for all of these and more. 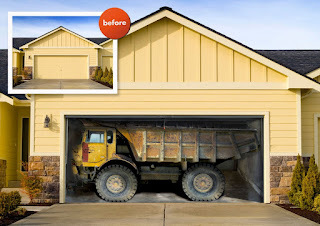 This German company (they do ship) makes billboards to cover your garage door and make your dreams come virtually true. My personal favourite is the horse box complete with mare and foal. Mind you, the garage band setup is pretty cool, too. Prices for the garage murals start at $80 US, which includes the installation kit but not shipping. They also make billboards for ordinary doors—there are at least three different ones that look like the opening to a wine cellar, and some that show glimpses of cars. Or perhaps a wall sticker that looks like a porthole (complete with shark) or a window or door opening onto a tropical beach. Hmm, think my office needs one of those. Ford Motor Company, Ford Racing, Shelby American and others have come together to build a one-of-a-kind Cobra in memory of Carroll Shelby. 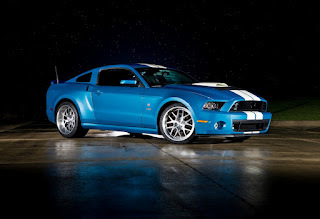 This 2013 Shelby GT500 Cobra wide-body Mustang has a Ford Racing 4.0-liter Whipple supercharger engine under the hood, capable of putting out more than 850 horsepower. That’s a lot of ponies! It’s also painted in historic trim in honour of the Shelby Cobra’s 50th anniversary, looking sharp in Guardsman Blue with Wimbledon White stripes. 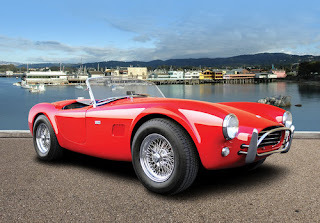 The hood itself was designed specifically for this car by Shelby American, who also provided the Shelby Wilwood brakes and 20 inch wheels. The car made its first appearance last week at the Monterey Motorsports Reunion. According to Ford’s vice president for sales and marketing, Jim Farley, “You might also know that Carroll was a philanthropist, noted for supporting causes that moved him,” adds Farley. 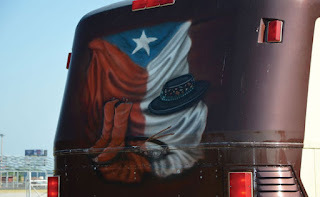 “In that spirit, this car will be taken on tour around the country, and hopefully will be used in a special way at the end of its tour – a way Carroll would appreciate.” That sounds to me like it will be auctioned off for charity at some point. I’ll let you know if I hear anything. The latest Hot Wheels report—the National Insurance Crime Bureau’s (NIBC) list of the ten most frequently stolen vehicles in the United States—has just come out. While I’m relieved my current ride isn’t on it, I’m rather surprised by what is. A pretty dull list, actually. Guess most thefts must be for parts, rather than people taking a sports car for a joy ride. Even if your vehicle’s not on the “hot” list, it still makes sense to take precautions. The NICB recommends the use of warning, immobilizing and tracking devices, and, cheapest and simplest of all, always locking your car and never leaving the keys in it. The 2012 edition of the world’s largest one-day classic car event was held in Michigan last Saturday, and Ford had a large presence there. They were expecting over 800 Mustangs to be parked on Mustang Alley. I can’t even imagine a car show with 800 cars, let alone 800 of just one model and 40,000 or so in all. Guess you have to pick and choose because there’s no way you can see everything. 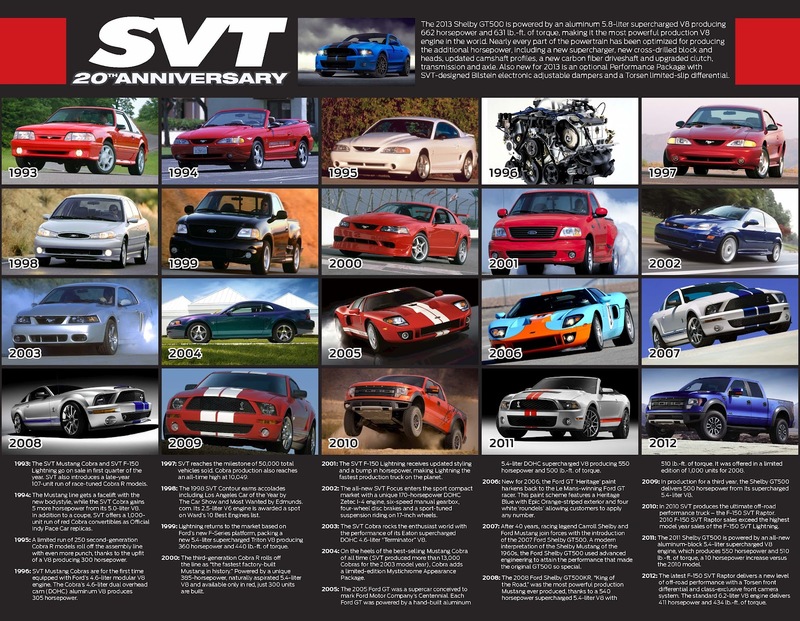 In addition to Mustangs from 1964 on up, Ford Motor Company was hosting a 20th Anniversary display of its Special Vehicle Team (SVT) vehicles. 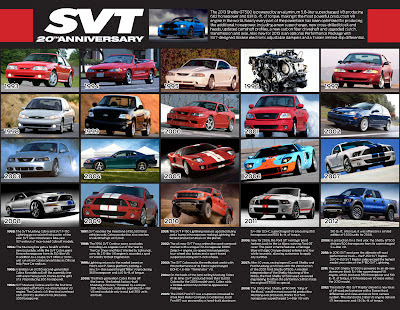 Check them all out in the attached fact sheet (available online at http://media.ford.com/images/10031/SVT_20th_Anniversary.pdf). Wouldn’t that make a great wall poster? 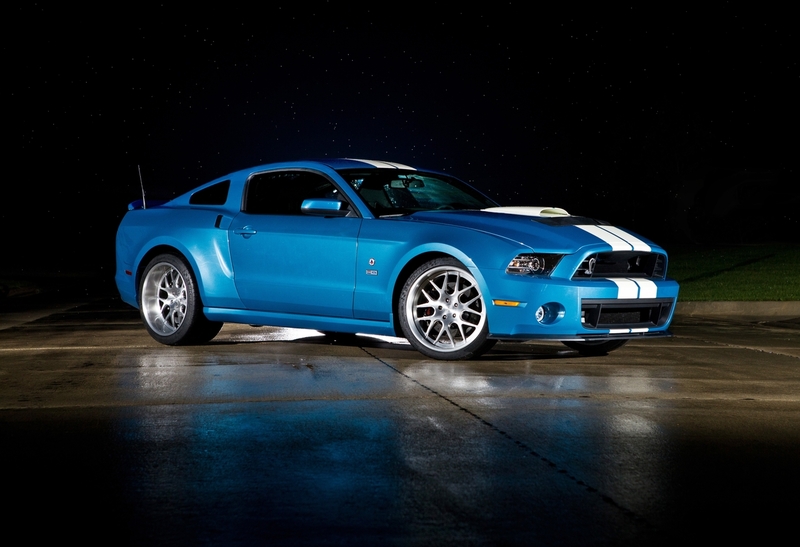 With the recent death of Carroll Shelby, Shelby cars have been more noticeable than ever. 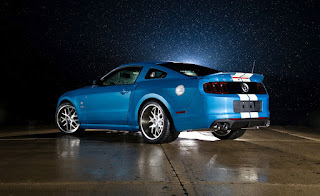 I know of at least three upcoming auctions where Shelby vehicles are being featured. The first is Russo and Steele’s upcoming Monterey auction (August 16 to 18). They have several Shelby cars set to cross the block, some of which have no reserve. There’s a cute little red 1965 Shelby Cobra 289 roadster (nope, that’s not one of the no reserve cars), at least four 1966 Shelby GT 350s, one of which has raced in the SCCA and one of which is one of the Hertz cars, and even a 2007 Ford Shelby GT500 convertible, which is marked “no reserve.” Plenty of opportunities for someone to start a collection. If a car with the Shelby name on it isn’t good enough, how about a car Shelby actually owned? The Vicari Auction Company is offering exactly that at their 16th annual Biloxi Auction (October 12-13). 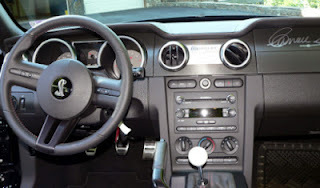 It’s a 2009 Ford Mustang Shelby GT500KR, with less than 1,600 miles on it, and comes with proof that Shelby owned it, plus his signature on the dash. For something truly unique (and thanks to my husband for drawing my attention to this one), how about a lifesize model of a car driven by Carroll Shelby. And not just any car, but the Aston Martin DBR1 in which he and Roy Salvadori won the 1959 Le Mans 24-Hour. It looks exactly like a giant model that has not yet been assembled. It will be up for grabs at Bonhams’ Goodwood Revival Sale on September 15. Since I haven’t got permission from Bonhams, I can’t post a photo here, but you can see it for yourself at this link. They think it will go for between 20-25,000 British pounds. I wouldn’t be surprised if it went even higher. Classic British cars are great, but upgraded classic cars are even better. Take a fully restored 1965 Aston Martin DB5 coupe, and add A/C, power steering, and other modern conveniences and the result is something I’d love to take on the road. Someone at Russo and Steele’s upcoming Montereyauction could do exactly that. Russo and Steele describe it as silver birch with blue leather interior and carpeting. It comes with a 5-speed manual transmission with an uprated gearbox, and a 4.0 litre six-cylinder engine under the hood. It is right hand drive, but that only adds to the cool factor. The only thing that would make it better was if it was a convertible. 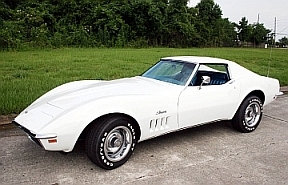 The Vicari Auction Company has announced that among the 400 plus classic and muscle cars crossing the block in its 16th annual Biloxi Auction (Biloxi, Mississippi, October 12-13), will be a rare, matching numbers 1969 Corvette. 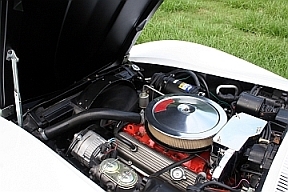 Vicari say the Corvette, one of only 12 known M codes, has a prototype M coded 350 hp small block engine. It also comes with power windows and brakes, and A/C, and as you can see in the photo, is a pretty sweet car. The Biloxi Auction sounds like a lot of fun even if you don’t have a fortune to spend. According to President Pete Vicari, “Our Biloxi event attracts a lot of muscle cars and restomods ranging from the $10,000 price tag to sales exceeding six figures.” It’s also held during Cruisin’ the Coast, a 30-mile long car show (October 7-14) on the Mississippi beaches. Auctions America by RM's Auburn Fall auction. Seems that one of the celebrity vehicles slated for Auctions America’s upcoming Labor Day Weekend sale in Auburn, Indiana, is country singer Willie Nelson’s tour bus. The bus in question, named “Honeysuckle Rose,” is a 1986 Eagle I motor coach and was used by the star from 1986 to 1999. Looking to take your own garage band on the road again? 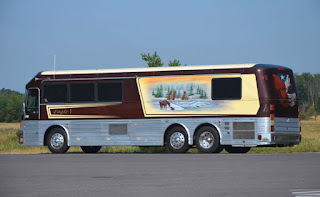 Or maybe you’d like to create some serious envy in your neighbours the next time you’re camping at a country music jamboree. You can check out the details in the video. The bus will sleep six and is very nicely equipped. It’s estimated it will go for $60-80,000. You can find out more on the visit www.auctionsamerica.com website. The Silverstone Classic, held each year at the Silverstone track in Northhamptonshire, England, is the world’s biggest classic motor racing festival. Of course, since it’s held in England, most of us are unlikely to see it, but fortunately their press office is good about sending out photos so we can experience it vicariously. At last year’s Classic, they broke the world record for the most E-Type Jaguars on parade, in honour of the E-Type’s 50th birthday. 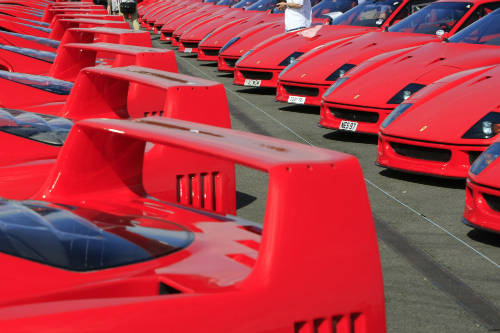 made for world's biggest ever gathering of Ferrari F40s. This year it was Ferrari’s turn to be in the spotlight, for another world record. 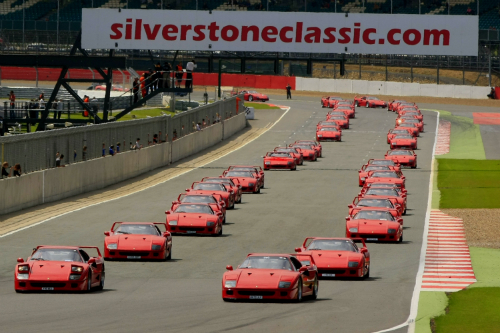 The Ferrari F40 turned 25 this year and 60 of them showed up to drive the Silverstone Grand Prix circuit on July 22. Believe it or not, they do come in colours other than red, but you’d be hard pressed to find one. Certainly there are none in the Silverstone parade photos.